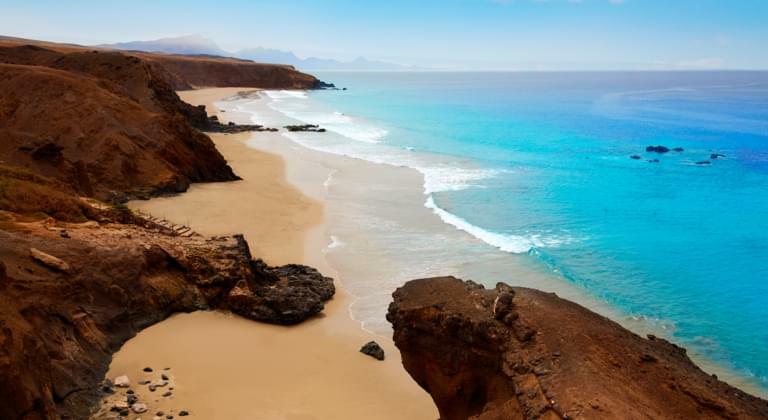 Fuerteventura as well as the neighbouring island Lanzarote belong to the popular Canary Islands in Spain. Here you can expect beautiful sandy beaches, emerald blue water and a spectacular volcanic landscape that invites you to explore. In contrast to Mallorca, the weather on Fuerteventura is pleasantly warm all year round. Is there any better way to explore Fuerteventura than with a hireal car from a car hire company? In your own car you can enjoy the freedom of this place at its best and simply drive where your desire to discover leads you. Plan a round trip or just have a look at a few selected places on Fuerteventura. With a hireal car from a car hire company in Spain you can get from one place to another cheaply and without worrying about the public transport network. You can book a cheap hireal car directly from home or at a location in Spain. The best way to get to Fuerteventura is by plane. The island has the Fuerteventura Airport (FUE), which is optimally connected to the traffic network. 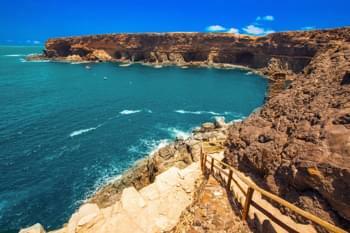 Fuerteventura is the second largest Canary Island and has a lot to offer for Spain holidayers. Whether you want to relax in peace from everyday stress, have planned a real active holiday or simply want to discover nature in Spain - on Fuerteventura you will surely find what you are looking for. Your holiday will be particularly relaxing if you are mobile. Select the right hireal car for your holiday. From a sleek convertible to a spacious station wagon for the whole family or a lively sports car, you will find everything your heart desires. One of the most popular holiday resorts on Fuerteventura is the former fishing village of Corralejo. It is situated directly at the sea and offers an excellent infrastructure for visitors from all over the world. Enjoy the Spanish cuisine, drink delicious wines and relax on some of the most beautiful sandy beaches in Spain. In the south of Corralejo there is the nature park El Jable, which you can reach easily and cheaply by hireal car. In Corralejo you also have the possibility to book a ferry trip to the neighbouring island of Lanzarote. You can take your hireal car directly with you and discover Lanzarote comfortably by car. You should not miss Puerto del Rosario, the capital of Fuerteventura. No matter on which part of the island you have set up camp, you can get to Puerto del Rosario quickly and cheaply with a hireal car from a car hire company. 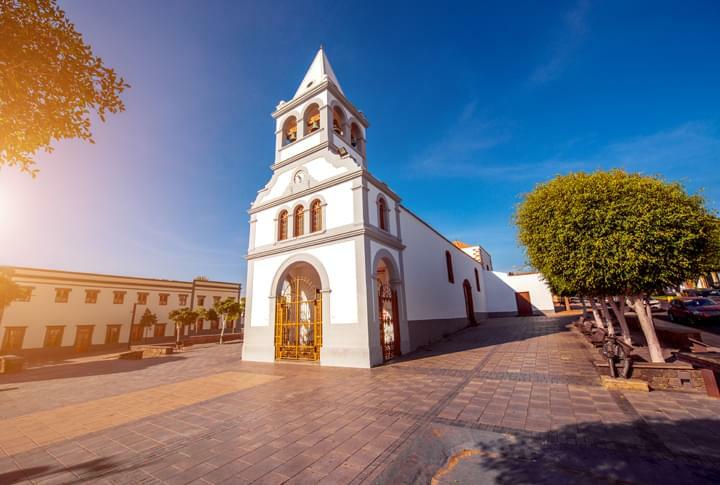 In Puerto del Rosario you can visit the parish church Nuestra Señora del Rosario, go for a walk in the Parque de la Ciudad or visit the historic harbour. Near the port, there are lots of free parking spaces, so that you can park your hireal car cheaply and explore the small city in peace. Some people like to relax on the beach, others need a lot of sports activities on holiday. On Fuerteventura this is no problem. With your hireal car you can drive to all sporting offers and find out in peace and quiet what you enjoy most. For example, you can book a kite surfing course and learn how to perform impressive tricks on the water. Golfers and riders also get their money's worth on Fuerteventura. Due to the good weather, most of the activities take place outside, so you can enjoy the beautiful nature of the island at the same time. If you have always wanted to get to know the underwater world of the Canary Islands, then you should definitely go to the coast with your hireal car and book a diving or snorkeling course. This is a lot of fun on Fuerteventura. After all, there are also exciting volcanic landscapes to admire under water. You happen to be in Fuerteventura in August? Then you should definitely book a car with a car hire company and drive to Cofete. Every year the release of baby turtles takes place there. The Reserva de la Biosfera helps the newly hatched babies to find their way into the open sea so that as many turtles as possible make it into the open sea. A real treat is the famous goat cheese on Fuerteventura. Tastings are offered on numerous farms. There you can not only indulge in culinary delights, but also learn something about the production of the regional speciality. 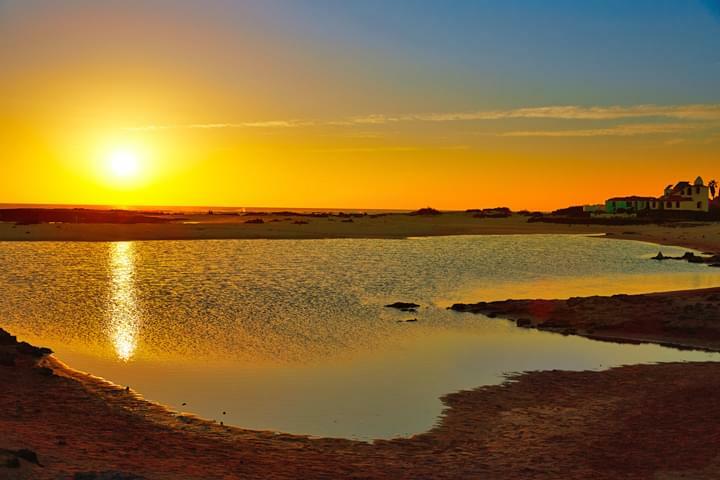 On Fuerteventura all sunsets are simply fantastic. If you are mobile and have a hireal car at your disposal, you should definitely make a diversion to La Concha. Enjoy the stunning view when the red-hot sun sinks into the sea on this magical beach in the evening. Discover Fuerteventura in a cheap and easy way with a hireal car from a car hire company and get to know Spain from a new perspective. Not only is it easy to find a suitable hireal car for Fuerteventura on Driveboo.com, but you can also book it cheap. With the practical comparison calculator you can choose the best one for you from a variety of offers. You can either simply book in advance online or book your hireal car with a local car hire company and enjoy the flexibility a hireal car offers you. Whether alone, as a couple or with the whole family - there is certainly the right hireal car for you! Should you not be able to make use of the hireal car on Fuerteventura at short notice, on Driveboo.com you have the possibility to cancel free of charge up to 24 hours before the start of the hireal period.